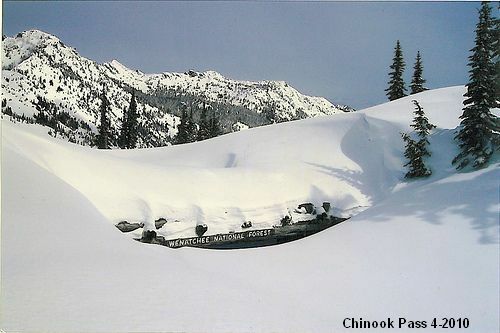 Sno Park on the 70 road was the lower one. Gate was closed and the road beyond was closed to wheeled vehicles. Road beyond has been plowed all the way to the upper old sno park. It was down to ice and even bare pavement in a few places. We met a 5 yard dump truck plowing what little snow was left on our way out. Ice Scratchers were a good idea. Poor management by the state as far as I'm concerned. Road to Twin Camps has not been groomed. It has had a few sleds on it though. The road beyond the upper sno park was ok... but had slim snow on the sunny sides of the hill. 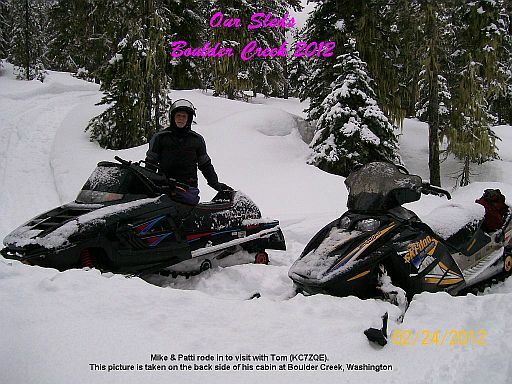 To show you snow conditions... we saw Elk sign in the road about a mile above the Cliff (Naches trail). Green Pass road has not been groomed for some time but at least had some snow on it. 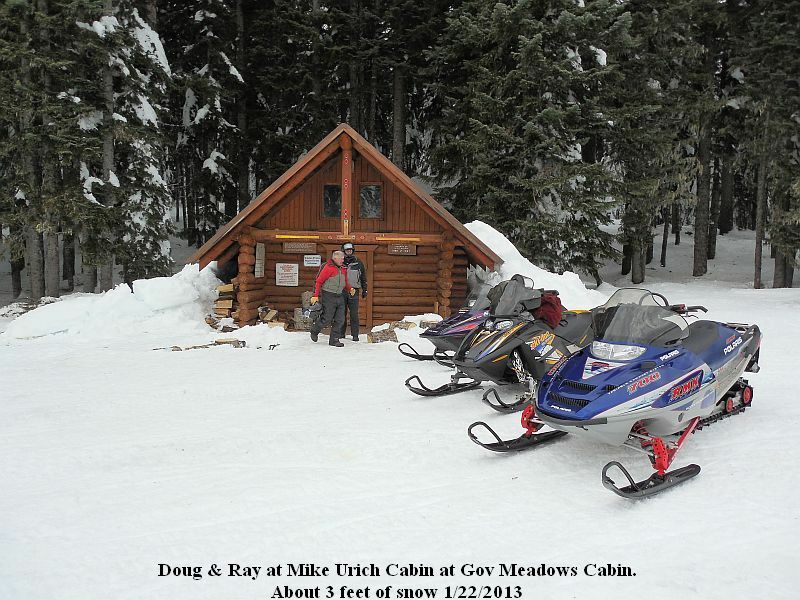 At Government Meadows I would say there was maybe a little over 3 feet of snow. (and to be expected) Hard packed and hard to find a spot that wasn't tracked. We put on about 40 miles. 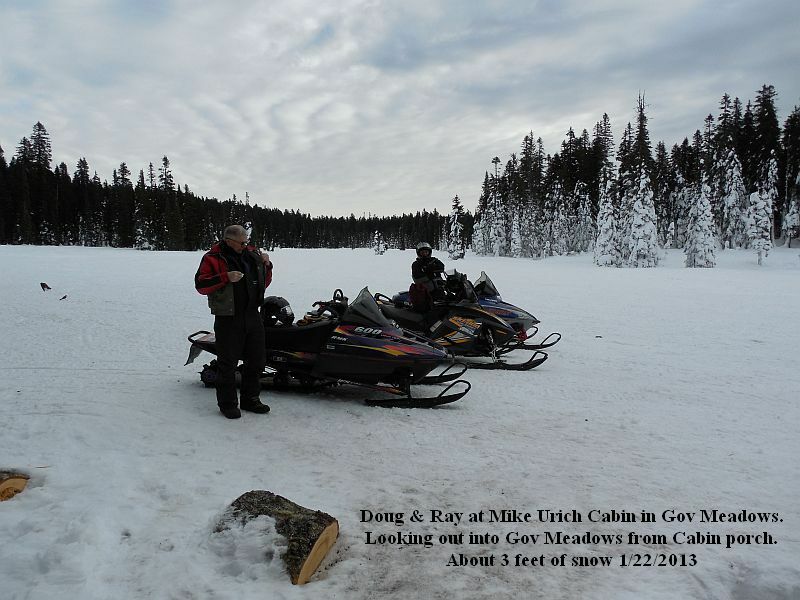 Mike Started Snowmobiling in 1967. 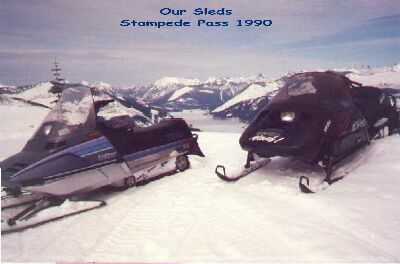 Boy were the sleds different then. They have come a long way since those days ! have been riding since they were born. The grandkids started early also. 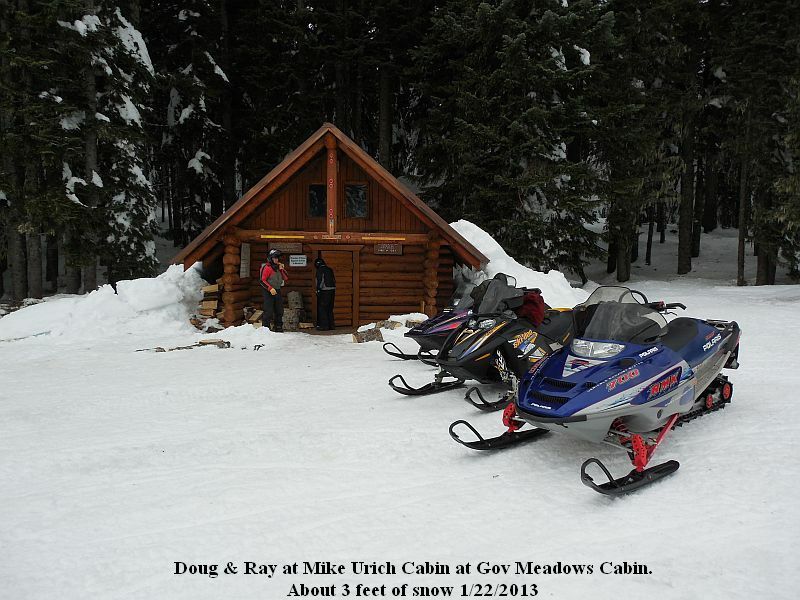 We Snowmobile all over the Cascade Range in Washington just trail riding for fun. Patti & I have slowed down some but the kids still ride hard. This page was started 4/2/01 and I will dig out some more pictures later in the year.